When I was a student, lamb was still a relatively cheap cut of meat to buy. And, I had a part Greek boyfriend who insisted I should cook for him. Some of my efforts really were labours of love…fried eggs with fried onions in olive oil for breakfast (I hate eggs, particularly fried ones). As it happens, I liked lamb though, so had no problem making moussaka or lamb skewers to grill. We spent one happy summer in his family’s summer apartment, a few miles down the coast from Athens. Every day new dishes arrived as if by magic when we were on the beach, brought into the flat by his aunts, nieces, second cousins…in fact anyone who could claim some kind of a bloodline connection. Stuffed peppers, stuffed aubergines, stuffed tomatoes, lamb casseroles and meatballs. 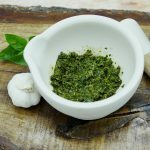 Everything tasted fabulous and nothing was the same when I tried to recreate it at home in the UK till I started to use fresh herbs. This particular dish started as my attempt to recreate a lamb casserole with aubergine and fresh tomato that we were given. 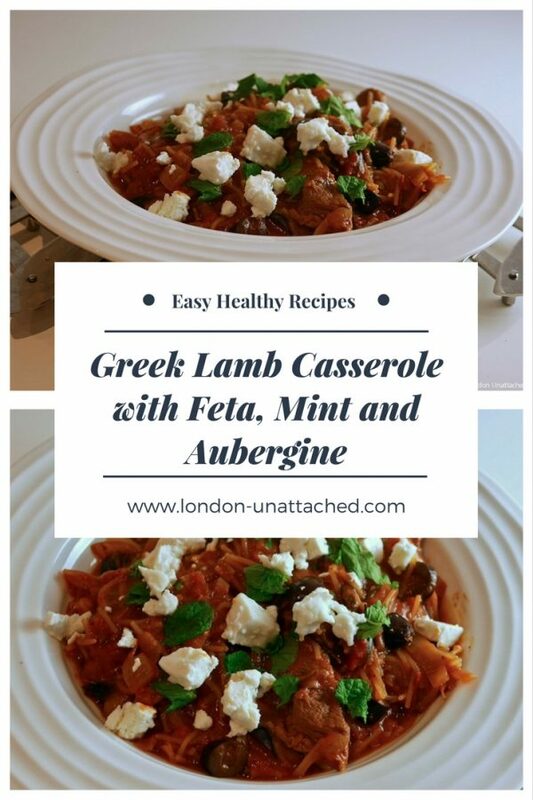 Then, I found a Greek Lamb Casserole recipe that involved adding feta and mint at the end…and really rather liked the salty minty addition. This mixture of Lamb and Aubergine makes a very comforting basic dish that you can serve with potatoes and thyme or parsley and without the mint and feta, or use the version I’ve done here and serve with crusty bread or pasta of some sort. It’s also nice made with fresh oregano. Right now, I have an inkling that you could make a rather special vegetarian dish with the basic vegetable and cheese mix using the Aubergine to provide the meaty flesh. The flavours are THAT pronounced. Once cooked, check the mix for 'heat' and remove the chilli and cinnamon stick if used. Add pepper if necessary. Do NOT add salt at this stage because the feta is quite salty. Plate up and add crumbled feta and mint to taste. 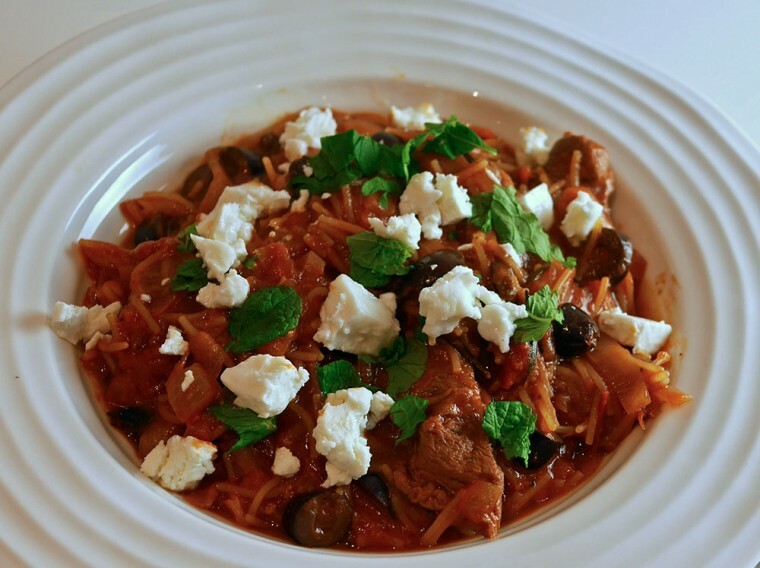 I've served this with tagliatelli, but it works very well just with a big chunk of crusty bread. This is a comfort food dish that will also work well in summer. 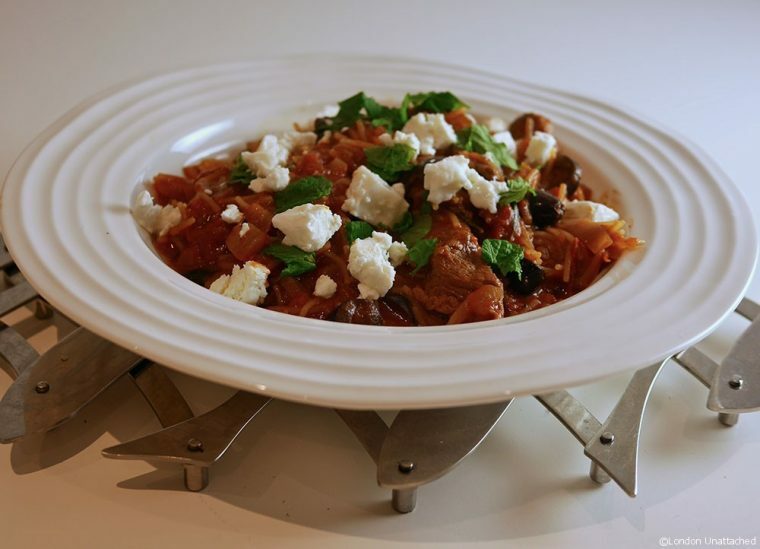 If you do serve this Greek Lamb and Aubergine Casserole in summer, then it is best warm rather than piping hot.